GreenFloors is your source for environmentally friendly flooring products and information. GreenFloors is a major source for environmentally friendly flooring products and related information. We are committed to protecting our natural resources through responsible environmental stewardship. From the products we offer, to the methods we use to help customers recycle, GreenFloors is working to help ensure a healthy environment for future generations. We have been in the flooring business providing residential and commercial services as a full service store since 1972. Over the last several years we have completed thousands of residential, commercial, and governmental flooring projects in the Northern Virginia, Washington, D.C. metro area. In 1991 we started featuring environmentally friendly products. This portion of our business has grown to become GreenFloors. GreenFloors Show Room Is Located In Fairfax Virginia. We provide expertise along with concise information to facilitate the environmentally conscious consumer, as well as the interior design community, in selecting floorings that are most beneficial to our environment and to their needs. Much of the information available in the marketplace is misleading thereby making some flooring products or programs appear to be more environmentally responsible than they actually are. 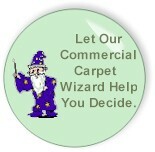 For example, if a specific carpet is advertised as made with recycled fiber content, what does that mean? There are recycled fibers from post industrial material (carpet left over on the factory floor) and post consumer recycled content (old carpet being thrown away). So which of these materials is more beneficial? Post consumer recycled content is preferable because it is more likely to be diverted from our landfills. GreenFloors also specializes in environmentally responsible commercial and government floor design programs such as LEED (Leadership in Energy and Environmental Design) and other rating programs. Our expertise and meticulous information will assist you in finding the correct commercial or governmental flooring that will meet your requirements. We will help develop specifications for any flooring project and, with our precise information, you can find the flooring that meets your needs. We will assist in finding the green attributes you desire as well as important specifications such as the flooring fire rating, static propensity, depreciation schedules, and usage recommendations. We attend a multitude of trade shows and conferences concerning flooring and the environment; scrutinize more than 30 publications monthly for new products, product updates, services, and information; and research the web for the most current trends. GreenFloors also maintains memberships and dialogues with industry related trade associations, partners, leaders in the business, manufacturers, and officials. We clarify information and ask questions of environmental and flooring leaders of the future to discover what upcoming environmental issues will be important.